The winter is often a discouraging time for gardeners. Windy days and grey, gloomy skies, not to mention whether that doesn’t exactly support outdoor activities. January and February can be the most difficult times of the year, as you can almost taste spring and are filled with the ambition and motivation of the new year. So should you just forget about gardening for the entire winter? Certainly not! There are many things you can be doing today to prepare for the busy spring garden season, even when you’re staring at 4 inches of snow covering your dormant beds. 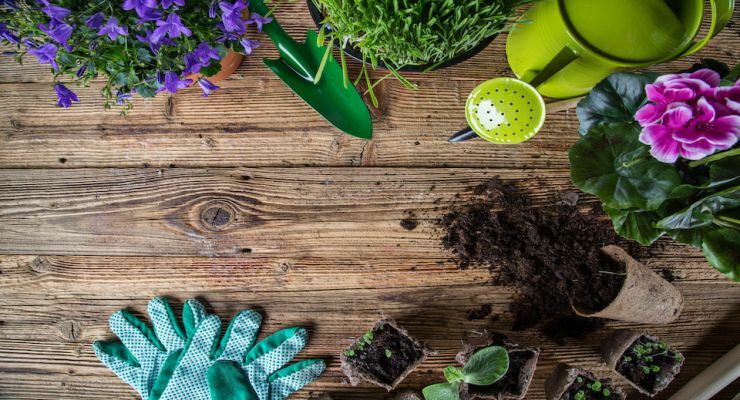 Take some time to do these simple tasks that will make the planting season more organized and efficient and will help your garden flourish. It’s easy to get in a gardening rut. Especially with vegetables. If you are an experienced gardener or even a beginner with just a few years under your belt, you probably know what grows well in your garden. Of course, you want to have a bountiful harvest and will probably keep planting the vegetables and flowers that are sure to succeed. This winter, try doing some research to explore other plants you may have overlooked that are known to grow well in your region. Don’t be afraid to try new things and experiment a little with your garden! If you have a garden shed or garage where you keep your supplies, it is likely that the frantic end of year harvest and subsequent business of the holidays have placed it on the back burner. On one of those rare warm, sunny days in the winter, take a few hours to clean and sharpen all your tools. Organize your storage area so that you can enjoy a clean work area when spring rolls around. This is also a wonderful time to take inventory of your tools and make sure that you have everything you need for the coming spring. While some gardeners have the luxury of space and can plant whatever they want, wherever they want. Many of us are dealing with limited acreage and have to be very methodical about using our land wisely. Make a map of your garden (it doesn’t have to be perfect) and give yourself a rough outline of what you’re planting in each section, when the seeds need to be sown, and if there’s any soil work that needs to be done before you can plant. Also, as you’re planning, keep in mind the light, soil, water, and space requirements of every plant and map accordingly. Consider companion planting and do some research on what vegetables grow well together. Go online or grab your favorite seed catalog and order those seeds. This is often one of the most exciting parts of the planting process. You don’t want to have to wait a few weeks past the idea planting date while you wait for your seeds to come in. If you order them ahead of time, you can be ready for the first taste of spring and get a jump on the season. Of course, this step follows a completed garden map. Make sure you have a plan for all the seeds that you’re ordering, so they don’t go to waste. If you have a greenhouse or an indoor growing area, there are many seeds that have a longer growing season and should be started in January or February for optimal harvest. This step is particularly important if you live in an area that takes a while to warm up and experiences freezing temperatures well into spring. Gather together seed starting pods, pots, grow lights, or whatever else you may need and get started right away. This can also help satisfy the antsy gardeners wait for spring by allowing you to get your hands dirty and bring some green into your life. If you’ve been telling yourself for years that you should install a rainwater collection system, now is the time. During the frenzy of spring, it can be hard to take time out of your planting schedule to work on projects, even if they do contribute to your garden. Take this down time to install rain barrels on the gutters of your house or shed and prepare in advance for spring rain. This is not only an environmentally friendly project, but it can also drastically reduce your water bill. Hey Buddy!, I found this information for you: "Preparing for the Spring Garden: What You Should be Doing Now". Here is the website link: https://www.tropicalhealth.com/preparing-spring-garden-now/. Thank you.